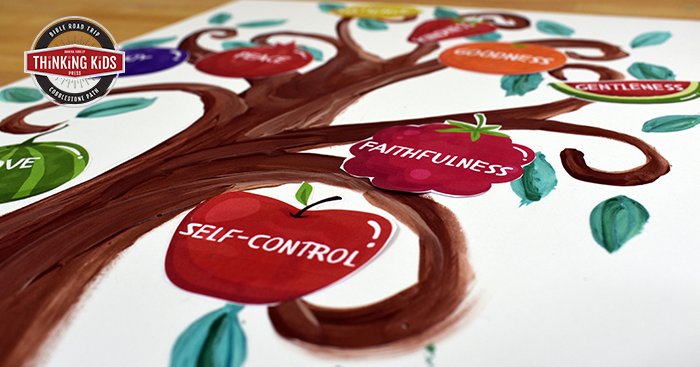 The Fruit of the Spirit Kids’ Craft is based on two verses from Scripture. The Fruit of the Spirit craft coordinates well with the Fruit of the Spirit Lessons and Lapbook from Thinking Kids Press–if you would like to spend more time working with your kids on studying the Fruit of the Spirit, I’ve bundled the resources so you’ll have a handy little unit. Our craft builds on those two verses. 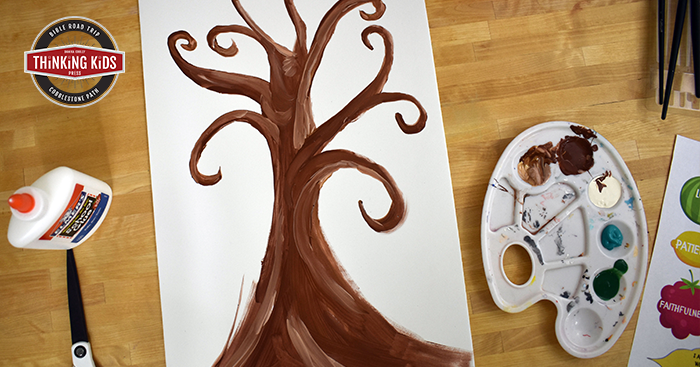 It looks like we’re making a Fruit of the Spirit tree, but it’s actually a vine. Grapevines grow quite thick at the base and stand upright with branches reaching outward. You’ll want to explain to your children that the branches are meant to represent followers of Jesus, while the base represents the Vine, Jesus. Each believer will grow all of the fruit of the Spirit–we don’t pick and choose one over the other. For our craft, though, we’ll glue one fruit to each branch. I think it’s really important that we read through the Bible with our kids. There is also value in slowing down and focusing on a section of or concept from Scripture with our kids. I know I frequently examine my own behavior to see if it’s in keeping with the fruit I should bear as a believer in Jesus Christ. Kids can learn about the Fruit of the Spirit in a fun, hands-on way using this craft. It will create a poster your family can refer to over and over. 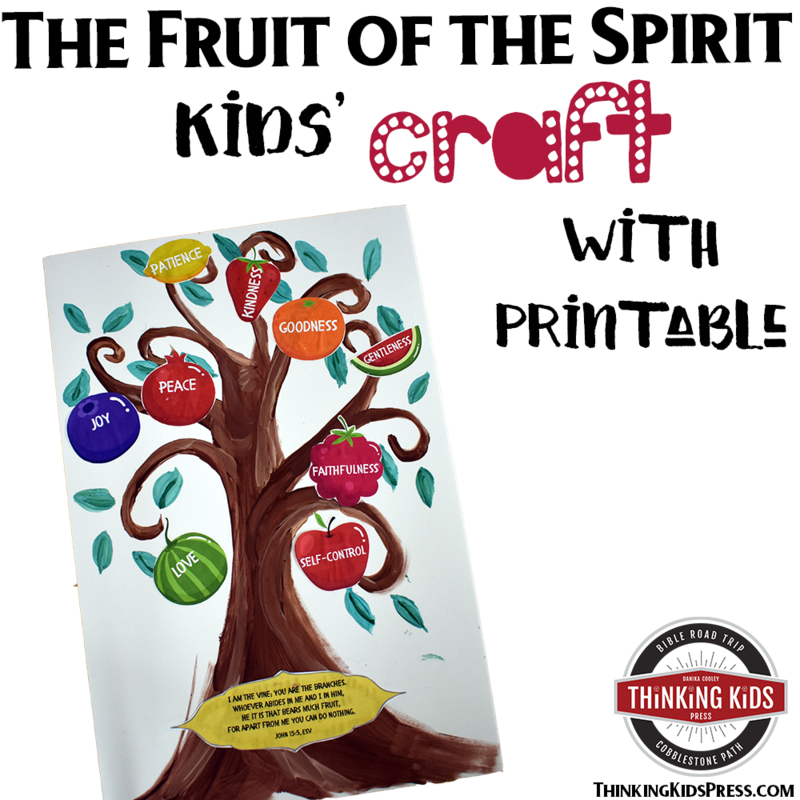 The Fruit of the Spirit Craft Printable, with step-by-step instructions is available in the Thinking Kids Press store, in the Family Discipleship section. The Bible verse sets come in both ESV and KJV. Register below, and you’ll receive a coupon that will make the printable free for the household license, or 50% off for the classroom license–AND–you’ll be added to the Thinking Kids newsletter. You’ll receive encouragements, gifts, and exclusive offers right in your email inbox. OR Purchase your set for your classroom or home. I used a 12″ x 18″ foam sheet as my base. 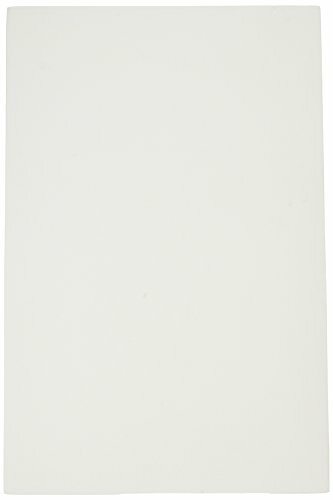 You can use poster board, but the packs of foam sheets tend to be less expensive. 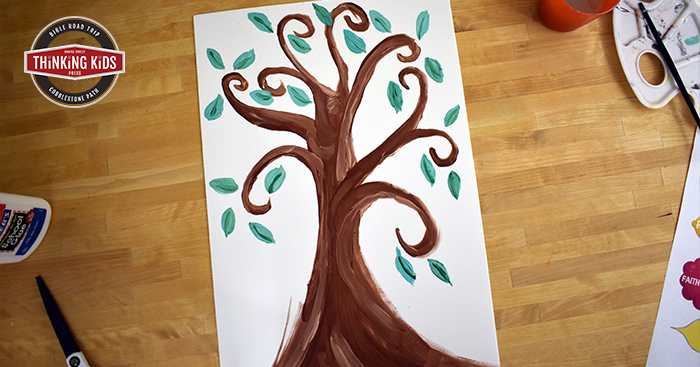 Have your child paint a tree (or vine) with nine branches on it. The vine doesn’t need to be anything fancy–it can just be a stick if that’s what your child would like to make. I chose to make mine a little fanciful with curved branches and sparse leaves. 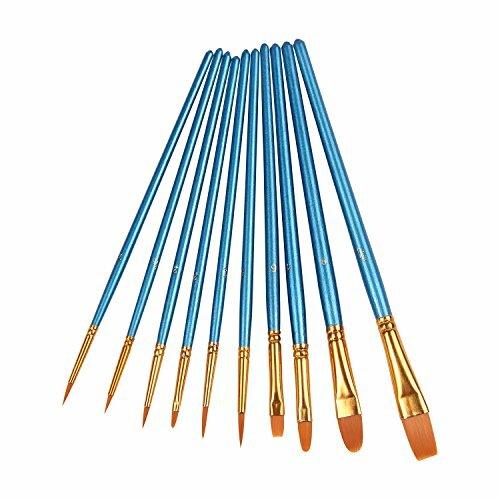 Let your child experiment with paint. The vine can have different colors or just one solid color. 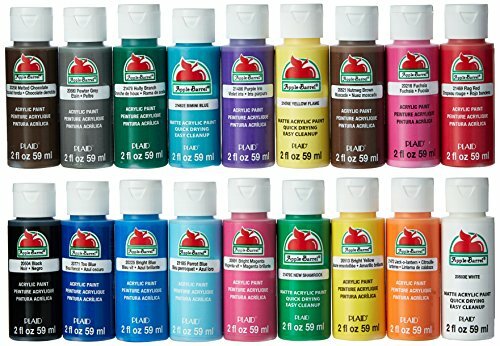 It can be a rainbow or brown… whatever your child would like to paint. Art is a fun way for kids to express themselves and to learn by doing. Let your child paint leaves on their vine. They can paint a lot of them, or just a few. It’s up to your child. Mine are highly stylized because I thought that would be fun. 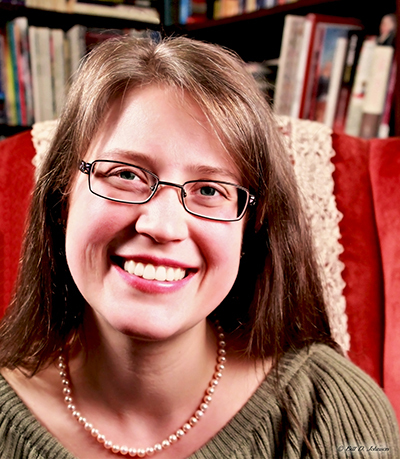 Decide whether you would like to use the ESV or KJV labels. If your child is physically adept, they may want to cut out the labels themselves. If your child is young, or you are working with a classroom full of children, you may want to cut out your labels in advance. Use white glue on the back of the labels and a piece of paper to smear it. 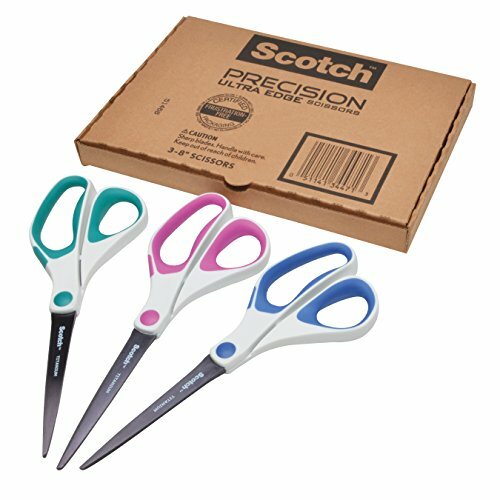 Don’t forget to use paper as a blotter under your labels so you don’t get glue on the table. Glue each of your fruit of the Spirit labels to a branch of the vine. Glue the John 15:5 Bible verse label to the bottom of your vine. You did it! Hang your child’s work somewhere special and talk about each fruit of the Spirit on a regular basis. Join the Bible Crafts for Kids Facebook community! Love this idea! We’ve been working thru the lapbook, and my artsy child would love a chance to paint! However, I’ve been encouraging my kids to think of Gal. 5:22-23 as a list of attributes of the Fruit of the Spirit – attributes we can’t pick and choose, but all should be present. To underscore this idea, we’ve listed 9 attributes of a strawberry and talked about how it takes all 9 to be a strawberry – or at least an ideal strawberry. We’ve repeated with an orange and an apple. Then we made a list for the “Spirit Fruit”, using the attributes from Galatians. My concern with using different kinds of fruit to represent the attributes of the Fruit of the Spirit stems from my kids’ personalities and preferences. Some love grapes; others don’t. And I’m allergic to pineapple! So, I think I’ll attempt to use this craft idea and adapt to have nine of one kind of fruit picture, with each attribute written on it. Thank you again for a wonderful lesson! The kids were studying Gal. 5 at church but just barely scraping the surface. We’ve been so blessed by the timing of your studies to help us delve into it more deeply! I really went back and forth about whether to make different fruit, or a bunch of grapes with a different attribute on each grape. I agree, we need to emphasize the fruit are attributes with our kids.